This is a die-cut Fairfield County Automobile Club porcelain sign. This particular Fairfield County Automobile Club sign is red and blue with white text. 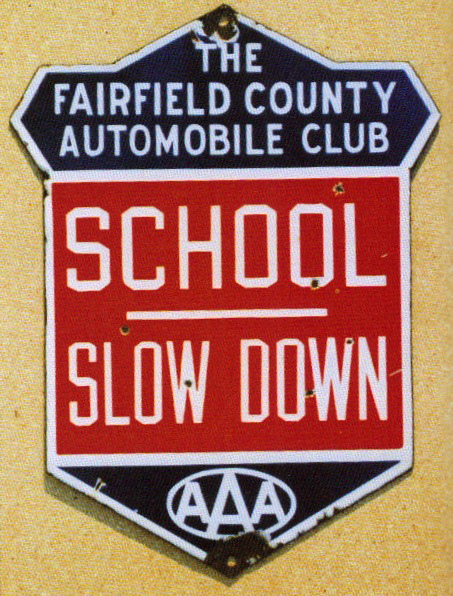 It reads, “The Fairfield County Automobile Club, School, Slow Down, AAA” and features the triple A emblem at the bottom.